PLO heads up is booming in popularity – amongst the Full Tilt Poker professionals, namely Ivey, Hansen, ‘Durrrr’ and ‘Ziigmund’, it’s the game of choice. Why? Well, there are several factors. People enjoy its ‘playability’ – the theory that you can play a far wider range of hands than NL Hold’em. Some people take pleasure in its gambling element, and high variance nature, and also the relative mystery of the game – there is no ‘optimum’ strategy as such, because literature on the format is so sparse. 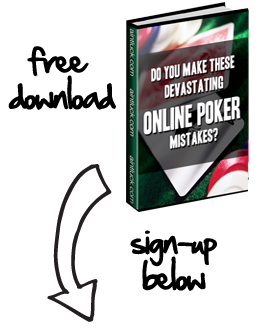 There is also a feeling the NL Hold’em market is becoming a bit stagnant – i.e. more and more players are developing a greater understanding of the game. PLO heads up is a high variance game. Unlike Hold’em, there are far less situations where a player is ‘dominated’ – even AKAK double suited, considered the ‘best’ hand in the game, is only a 59 per cent favorite against 4567 double suited pre-flop. Hence, so much of the game hinges on analyzing your opponents play and betting patterns, and making correct decisions post-flop. Regardless, it’s quite conceivable for two players to make perfectly legitimate, mathematical all-ins post flop. Player 1 has 7755, Player 2 has 46(diamonds)78(clubs). The flop is 3d 5d Kc. Player 1 is fully justified in committing all his stack here – he has the second nuts – a powerful hand in HU! But Player 2 has unbelievable draws – to the flush, straight, backdoor flush, and straight flush! In fact, he is a 52 per cent favorite to win this hand if both players shove all in. There are plenty of similar situations, but these kind of ‘cooler’ hands are not going to determine whether you are a winning player or not. They will, however, instigate massive variance, so you need to make sure you have sound bankroll management. More detailed, advanced strategy concepts will be discussed later on. For now, let us consider a few key differences to 6 max or Full Ring PLO games. Obviously, we need to increase our starting hand range – the concept of playing only high wraps, and Ace high double suited cards goes out the window. We still need to be very cautious about drawing to the non-nuts, but pre-flop, we need to be significantly looser. Just like NL Hold’em heads up, we will be looking to open most hands – between 70 and 80 per cent, on the button, with a 3-bet raise. Why? Aggression (albeit controlled in places) is fundamental in heads up – we need to be gaining control of the game, and pots. We need to disguise our range so we get maximum value out of our best hands. Position is of course vital, as it gives us information concerning our opponent. PLO heads up is about assessing your edge over your opponent. If you feel your edge is only, say, 2 per cent, it’s perhaps not worth playing on, as your risking significant time and money (in a high variance game) just to exploit this. As a rough marker, you should be identify the quality of your opponent after approximately 20-30 hands. Stack-size is also important heads up. If we are really deep, i.e. 100 big blinds or more, and playing a skilled opponent, it’s advisable to tighten up, and take more cautious lines – say if we hold 5678, and the flop is 789. If we are short stack, and playing a weak, loose opponent, we will be looking to shove our stack – we have flopped the straight and have re-draws to a boat. We are ahead of two-pair, trips, and have re-draws to combat the stone cold nuts. Against a trickier opponent, and when playing deep, it’s perhaps more advisable to check behind, as we want to avoid committing a massive stack and being dominated by 10J.